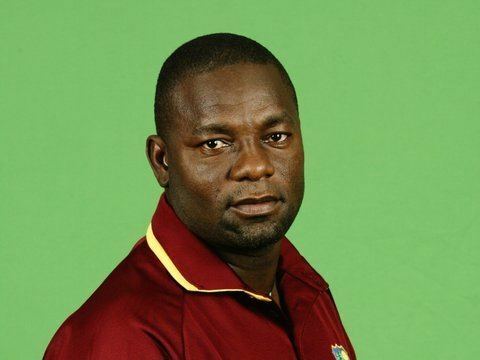 Ridley Detamore Jacobs , is a left-handed batsman who was a regular fixture in the West Indian cricket team in the 1990s and 2000s. He made his Test match debut on his 31st birthday, playing in 65 Tests in six years. In this time he took over 200 catches behind the stumps, making him only the second West Indies keeper to achieve the feat (after Jeff Dujon). This is the 9th highest number of Test dismissals by a wicket keeper. He also played 147 ODIs. However, he was gradually pushed out of the team during 2004 and 2005, with Courtney Browne and Carlton Baugh, Jr. challenging for his position. Jacobs jointly holds the world record for taking seven catches in a test innings, which he achieved against Australia in Melbourne in 2000. He also featured in an outstanding partnership in the record breaking innings of Brian Lara against England in which Jacobs made a hundred and Lara made 400 not out.